I am Alex, a product designer based in Singapore. My main focus is designing creative, scalable and usability solutions for any kind of screens. I am interested in user research and web development. Spiking allows you to get real-time updates on the big stock exchange players. Get real-time updates on the big stock players. 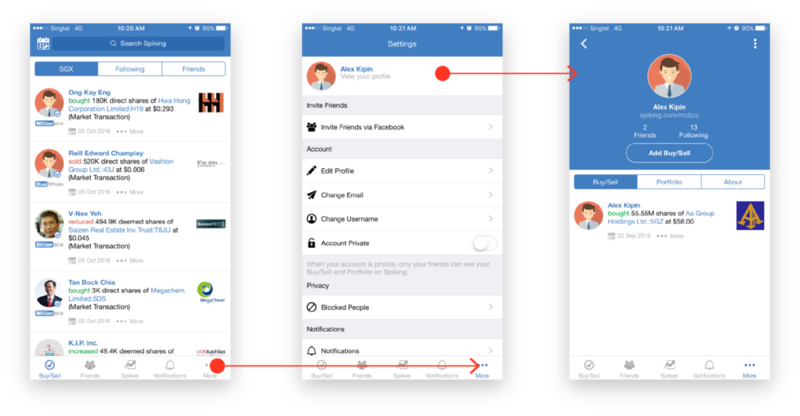 Knowing that the Spiking apps would need a total redesign, we took the opportunity to also rethink the entire user experience. From there, we defined our long term vision and set our goals for product design, development and marketing. 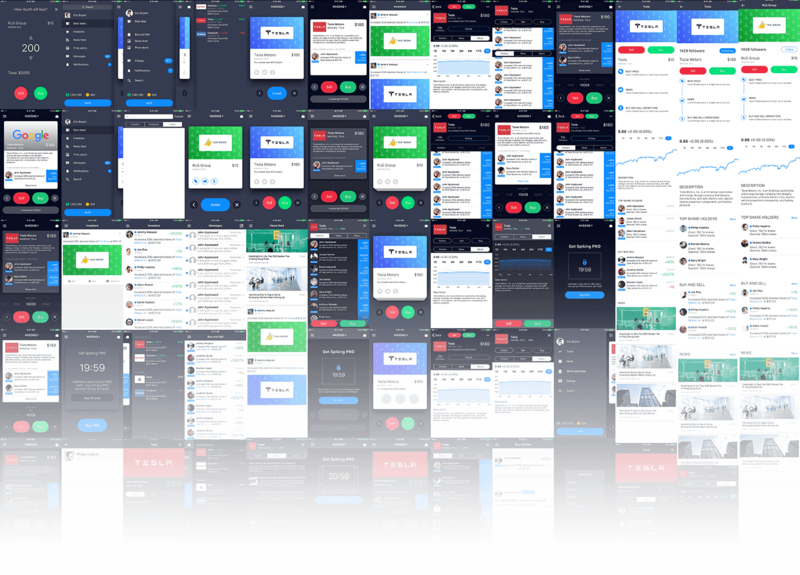 It is exceptionally important for us to know our users and their needs before diving into the redesign so we started with just that — gathering insights, to ensure we solve the right problems. The apps (iOS & Android) crashed almost every session. UX patterns that were used in the apps were inconvenient for our users. The visual language was old and unpleasant. It sounds like a great challenge for me and for the team! 1. Gather information about the stock markets, investors and companies. 2. Explore new investment opportunities. 4. Get notifications about price movement. I need to confess, this isn't a real photo. I found it on a stock photo website and photoshopped my face on it because I didn't take any real photos while we were working on the project, but I need something to illustrate how professional it was. We started working on new concepts and approaches to the existing user experience, armed with the insights from the analysis and our product session. A business need also arose as the company aimed to implement monetization strategies, which previously had never been a part of the core experience. I synthesized the requirements and worked on a couple of different concepts. We later tested them internally with the team and then with our users. The responses from the tests came back with positive results for both the new user flow and monetization strategy. In the process of designing the final touches, I also tried to integrate as many of the native iOS and Android components and flows as possible. This makes interactions with the apps feel familiar for our users from the start, and also helped increase the development speed. Development commenced after we made sure to cover all of the main use cases. The result was the beautiful and easy-to-use new Spiking apps. âœ… 1. Gather information about the stock markets, investors and companies. âœ… 2. Explore new investment opportunities. âœ… 3. Manage stock portfolio. âœ… 4. Get notifications about price movement. After 6 months of hard work and constantly talking and testing with our users, we successfully launched the new Spiking apps — this time with an improved information hierarchy and a visual refresh, in addition to a new monetization system and some new helpful features.